Before children can begin to learn to read, they must be able to recognize the letters of the alphabet and the sounds each letter makes. 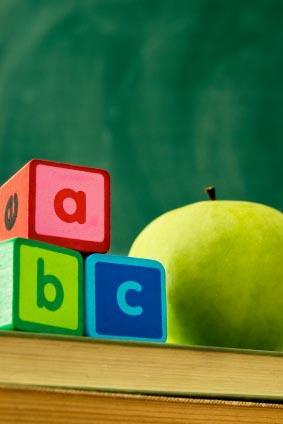 There are many different ways to teach the alphabet, but using an ABC book seems to be the most common. If you don't want to buy a book from your local bookstore, or would simply prefer something a bit more creative, you can try making your own alphabet book. Even if you're not normally a "crafty" sort of person, making an alphabet book is a fairly simple project. Decide on a basic layout for your book. Depending upon how thick you want your book to be when it's finished, you might choose to do a double page spread for each letter, one letter per page, or two letters per page. Adding a patterned paper border to each page is another option to consider as well, since this will help give the book a sense of continuity. Use alphabet stickers or ink and alphabet rubber stamps to write out the letters for each page. Using both uppercase and lowercase letters is a good idea, since children need to be able to recognize both forms before they can begin to learn to read. Add family photos, magazine images, scrapbook die cuts, or other decorations to represent the words you've chosen for each letter. You can choose one item for each letter or make pages that represent several different things, depending upon how elaborate of a book you wish to create. Add handwritten notes if you think some of your images might be hard for your child to understand. Place finished pages in the album's plastic page protectors. When looking for ideas for making alphabet books, it's helpful to think about your child's hobbies, interests, and personal preferences. To make your book a memorable keepsake, you want to choose items that represent concepts that will be meaningful to your child. You can either go with a theme for the whole book or mix-and-match different ideas to make a truly unique project. "E is for eating lunch." "P is for painting pictures." "Q is for quiet time." "R is for reading stories." "I is for ice cream." "T is for turkey sandwich." "D is for doctor's office." "J is for jump rope." "T is for teddy bear." 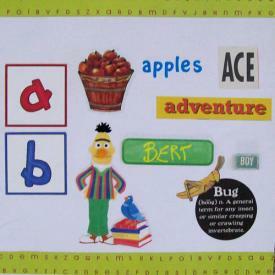 If you are looking for printable online resources to help with the creation of your alphabet book, the First School Web site has handwriting worksheets, coloring pages, and other fun activities that could easily be incorporated into a homemade ABC book. Making alphabet books can be a fun way to help teach toddlers their ABCs, as well as a good way to use up craft supplies from other projects. If you have older children, consider having them help create the book as a special gift for their younger sibling.